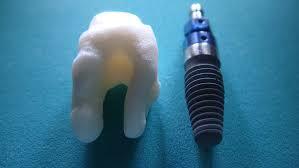 The Titanium implants make a big change in the worldwide restorative dental practice. When it comes to titanium root, it is actually introduced into jaw bone with the time subsequently permitted for the osseointegration. This superstructure of the tooth is afterwards developed onto certain implant to bring an outstanding replacement. The Titanium alloys are commonly used for defibrillators and peacemaker cases, as a carrier structure for the replacement of heart valves and intravascular stents. Everyone knows that most of the surgical instruments are actually made up of titanium alloys. The lightweight feature of this metal aids in reducing the fatigue of a surgeon. The instruments are often anodized for offering the non-reflecting surface which is important in the microsurgical operations. 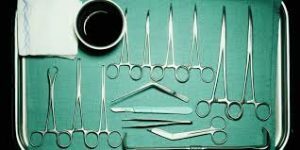 The titanium instruments also withstand the repeat sterilization process without any compromise to surface or edge quality, strength or corrosion resistance. Most of the patients around the world are treated every year for complete replacement of knee joints and arthritic hips. When it comes to prostheses, they come with several sizes and shapes. Normally, the hip joins comes with metallic-based femoral steam as well as a head that locates into the increased molecular weight and reduced friction polyethene socket. 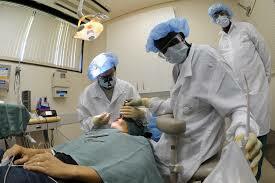 They are secured properly in position by using polymethyl methacrylate bone cement. Few designs, such as cementless joints, utilize roughened bioactive surfaces for stimulating the osseointegration and limiting the resorption process. It increases the overall lifetime of implants for the younger recipients. Both the external and internal none-fracture fixation is an additional application of titanium alloys. The other applications are bone-plates, pins, spinal fusion devices, external fixators, and screws. The artificial parts are required to properly restore the overall ability to eat or speak and for the cosmetic appearance, for replacing the facial features lost because of any disease or damage. Osseointegrated titanium-based implants are the specialized and highly preferred implants that have the capability to meet the various needs of biocompatibility. The strength of these implants makes possible unprecedented advances in the surgery process. It is also used for the successful treatment of patients who are having large defects and severe problematic conditions.